Waterstone at the Circle is located in Boston's historic Cleveland Circle, the former location of the Circle Cinema. Waterstone at the Circle is urban retirement living at its very finest, and it all comes together seamlessly to give a carefree, rewarding lifestyle seniors so richly deserve. 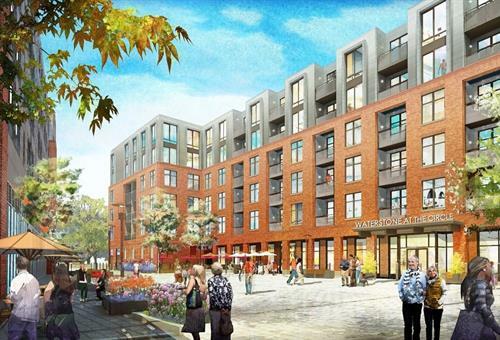 Waterstone at the Circle, a luxury independent living community that will open in early 2018 at 385 Chestnut Hill Avenue. 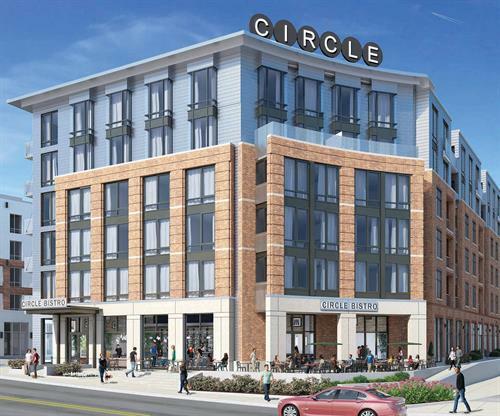 The best of two worlds – urban and suburban – meet at Waterstone at the Circle in Boston's historic Cleveland Circle, the former location of the Circle Cinema. On campus, you'll find a world of luxury and service to complement your full, rewarding retirement. We invite you to visit Waterstone at the Circle and experience our independent lifestyle for yourself. It won’t take long to see that Waterstone at the Circle is far more than a place for seniors to safely reside. It's a unique community that celebrates life, learning and cultural inspiration. It's a community devoted to luxury, choice, service, value and living life on your terms. It's about loving where you live and always knowing you made the right decision.